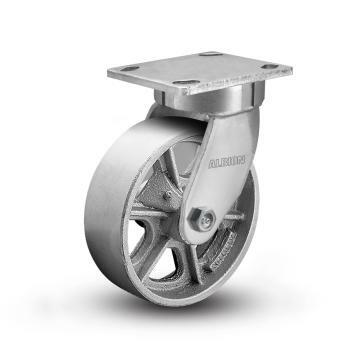 The leading cause of caster failure is kingpin failure. 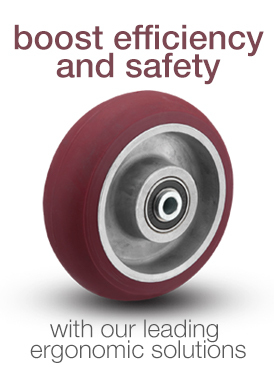 The kingpin weakens due to abuse, often caused by shock impacts and heavy load transportation. 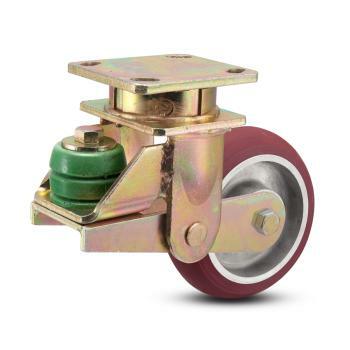 Kingpinless casters eliminate the kingpin. 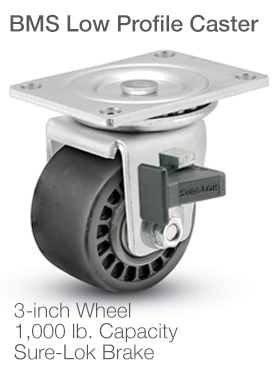 A large, reinforced raceway is welded to top plate and caster legs, with large ball bearings well oiled to swivel easily. 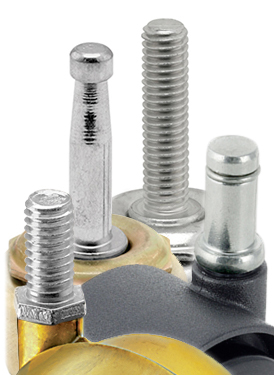 A grease zerk allows easy maintenance for future raceway lubrication needs. 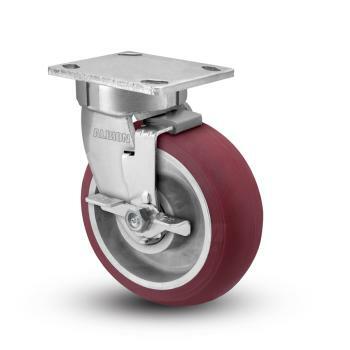 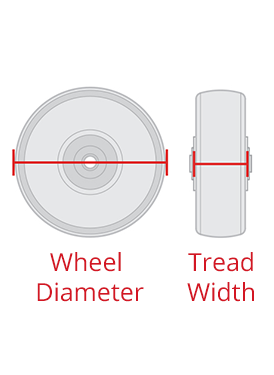 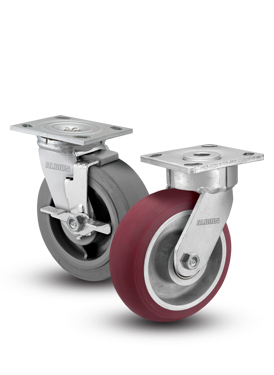 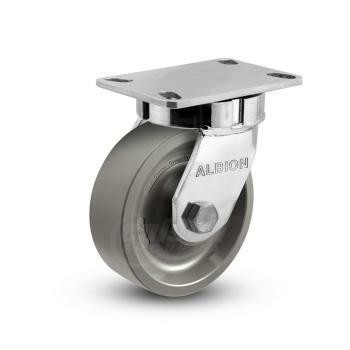 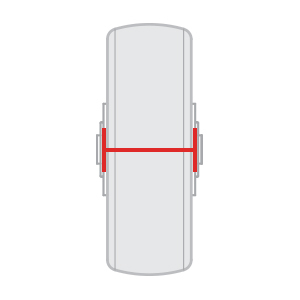 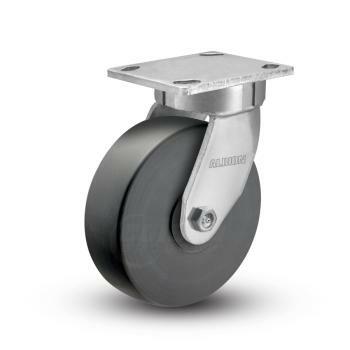 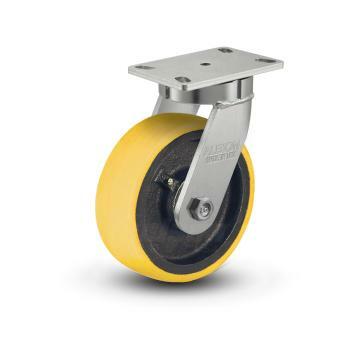 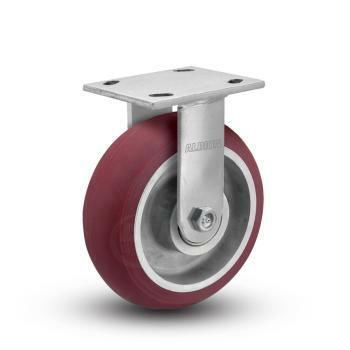 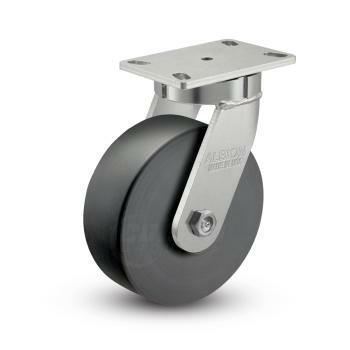 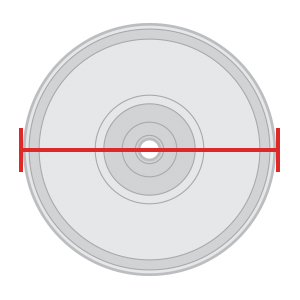 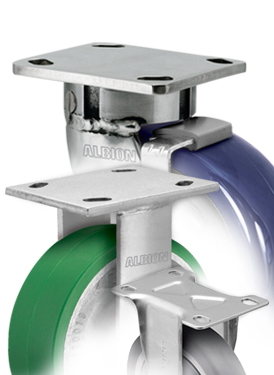 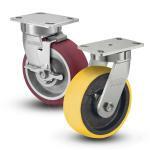 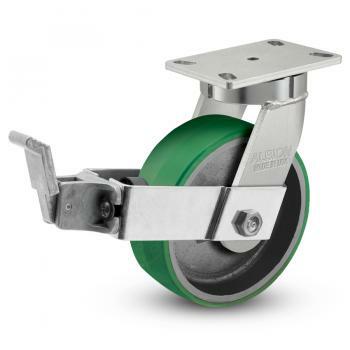 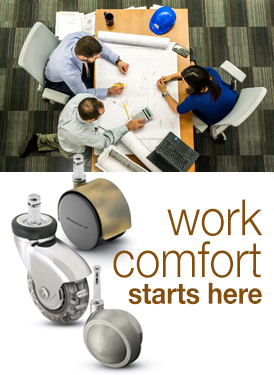 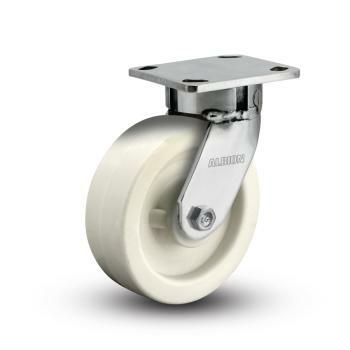 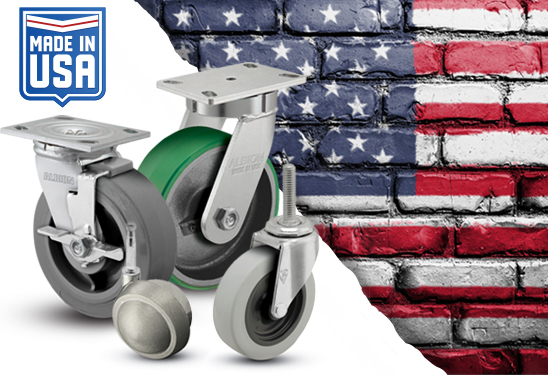 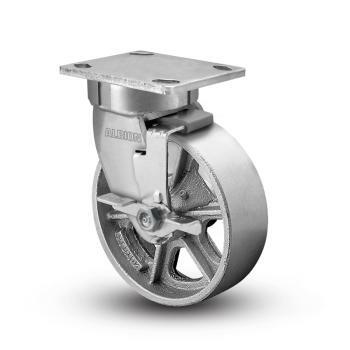 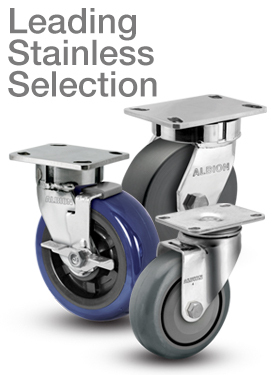 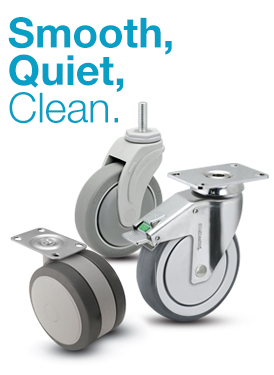 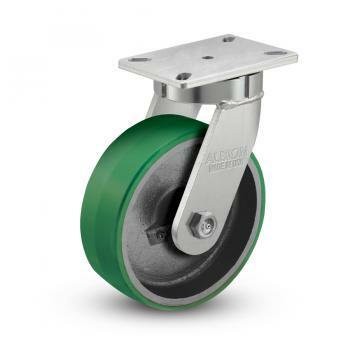 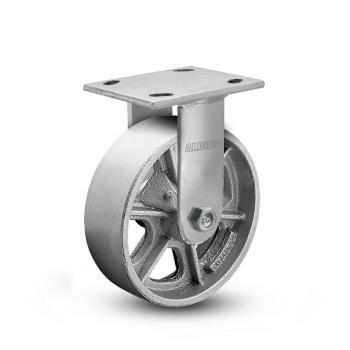 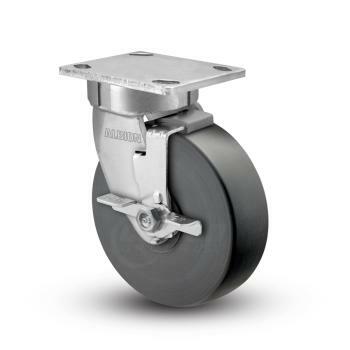 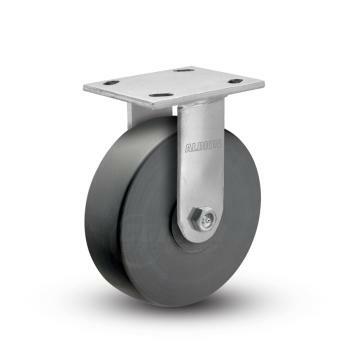 Kingpinless casters can support larger weight capacities than their kingpin counterparts.